A Wednesday morning crash in White Marsh is causing some traffic headaches. 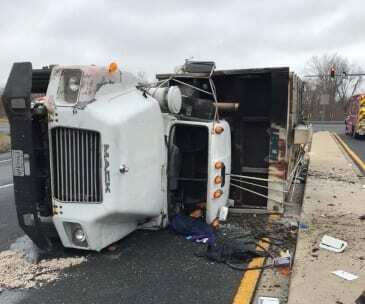 At just before 10:30 a.m., the White Marsh Volunteer Fire Company reported that a garbage truck had overturned along Pulaski Highway at White Marsh Boulevard. Units from WMVFC have responded to the scene.